They look like tiny bites, but each bite was a satisfying exquisite explosion of unexpected flavors. 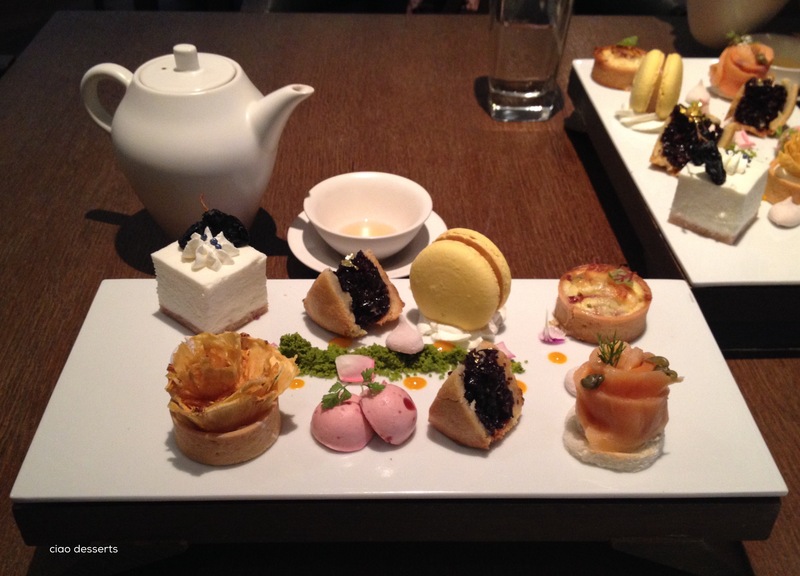 My favorites were the black rice with vanilla tart, and the litchi with tea cake. 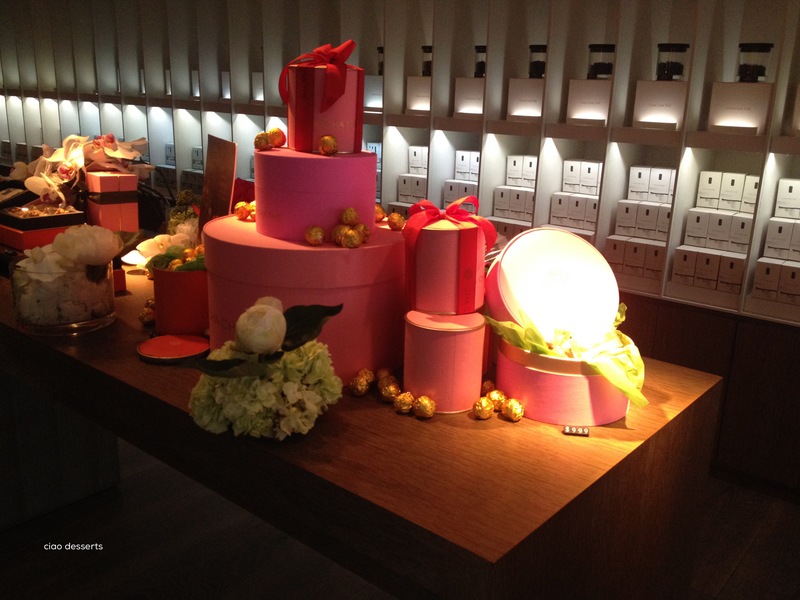 The biggest surprise of was the pineapple cake. I usually despise regular pineapple cakes, with their uninspired, blandly sweet oddly un-pineapple filling, but Cha Cha Thé ‘s version will spoil you for life. 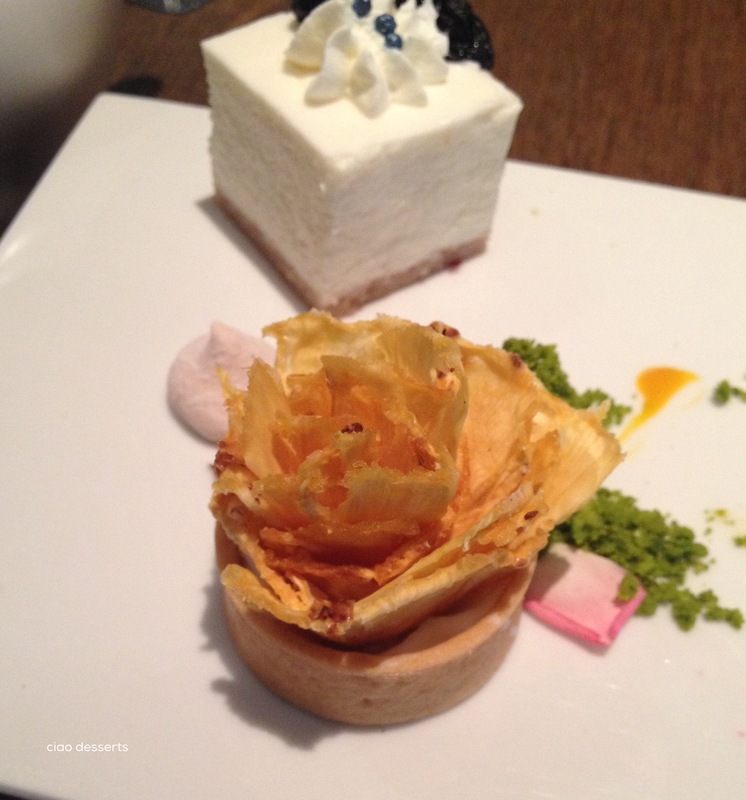 The flower on top is a clever twist of dried pineapple, which was tangy and sweet. The tart crust was filled with vanilla custard, which offset the tartness of the pineapple. Divine. In addition to the afternoon tea, I have always thought that Cha Cha Thé is the perfect place to pick up a gift that is uniquely from Taiwan. There is a tempting collection of teas, candies and storage containers. Everything comes beautifully wrapped in cloth covered box and ribbon. I never knew how much I liked hot pink until I saw it here at Cha Cha Thé! This entry was posted in Uncategorized and tagged afternoon tea, cha cha the, desserts, interiors, kitchenware, Taipei, tea. Bookmark the permalink.